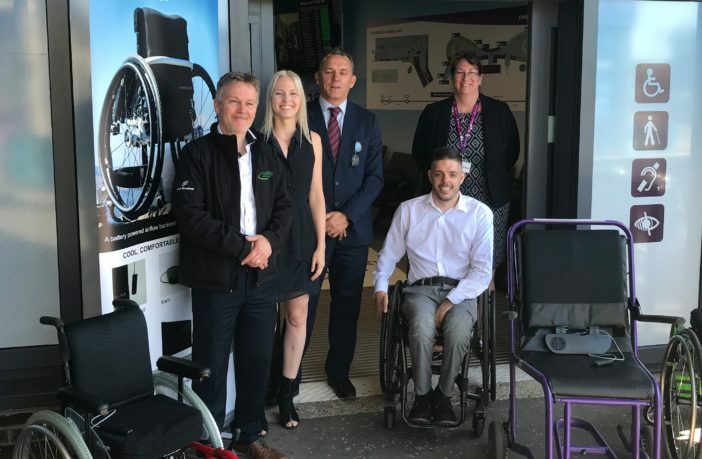 Airport assistance services provider OmniServ is trialling the wheelAIR cooling backrest cushion at Edinburgh Airport, Scotland, as part of its continued efforts to improve the experience for passengers requiring special assistance at UK airports. Released by Scottish firm Staels Design in 2016, wheelAIR has been carefully designed with input from Paralympic athletes and wheelchair manufacturers. Using inbuilt fan technology, it cools the back and reduces the user’s core temperature by taking away excess heat and moisture. This provides instant comfort and better temperature control. The cushion also offers extra support through a unique blend of carefully selected foams. For the trial, wheelAIR has teamed up with Edinburgh-based mobility retailer FastAid Products, which will supply an active lightweight wheelchair to enable customers to easily try the wheelAIR cushions for themselves. 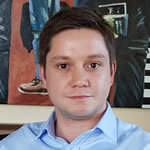 Ross Gilpin, accessibility and PRM contracts manager, Edinburgh Airport, said, “The passenger experience is a crucial element of our business and we have invested and focused on our special assistance service provision over the past few years, to provide that positive experience for those passengers who require extra attention and care. Earlier this year OmniServ introduced another British invention, the ProMove Sling, an easily transportable, lightweight option for lifting and transferring PRMs. The solution provides a viable alternative when it is impractical to deploy a powered hoist.